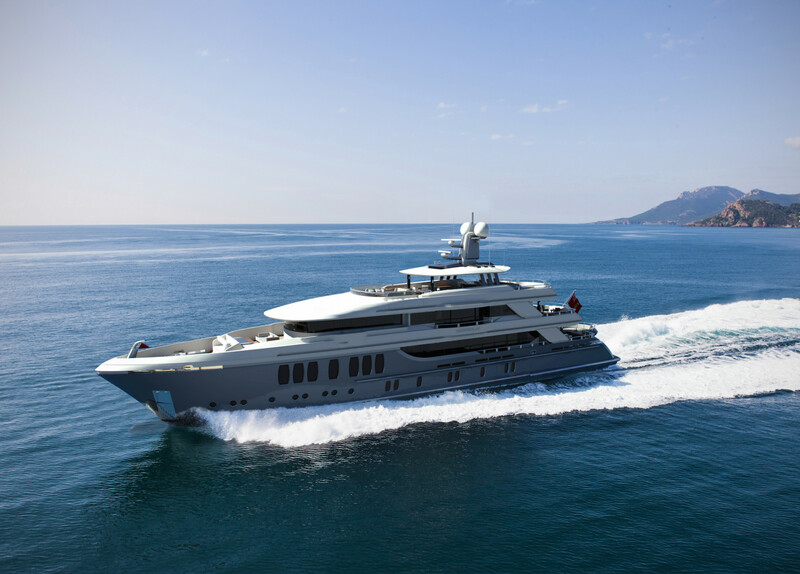 The 46 meter M/Y MIRACLE boasts a design from Espen Oeino, renowned naval architect for superyachts & more, and is due for delivery in 2016. 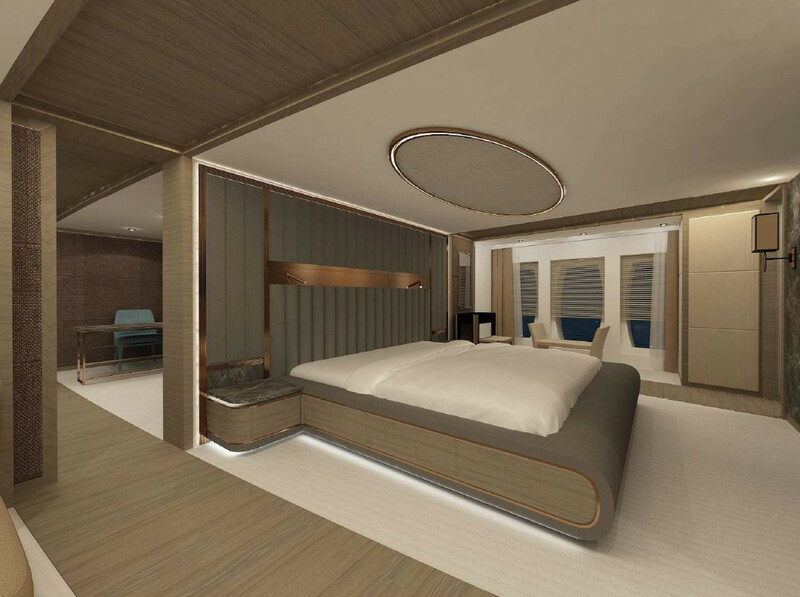 Amongst M/Y Miracle’s notable features are spacious deck areas, particularly on the bridge deck which comes complete with a bar and lovely partially shaded outdoors dining area, as well as plenty of comfortable seating areas. 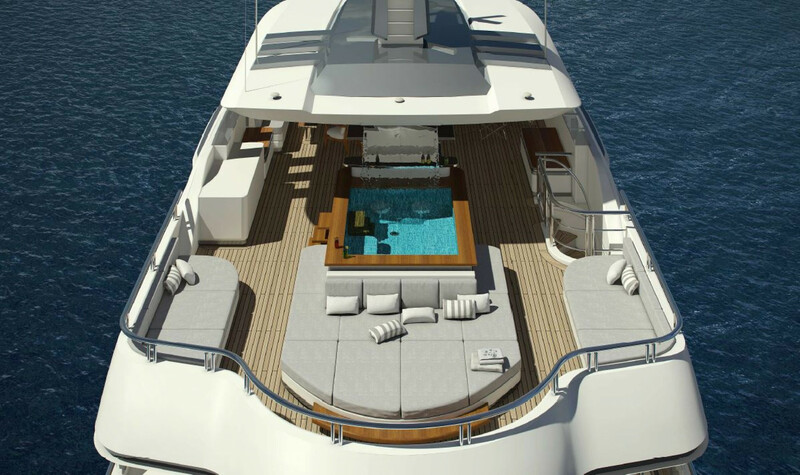 Elsewhere, the sundeck is equally as inviting, with a sizable hot tub to the aft of the deck surrounded by plush sun loungers. 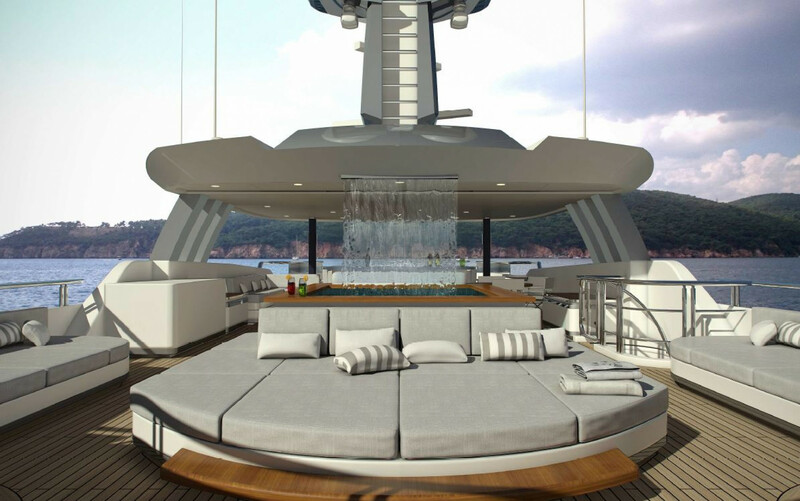 At the front of the sundeck, a sophisticated seating area is found with three stone grey sofas positioned around two coffee tables.